CMOs and CIOs typically come from different backgrounds and have different perspectives, but making their relationship work is critical to the digital business. 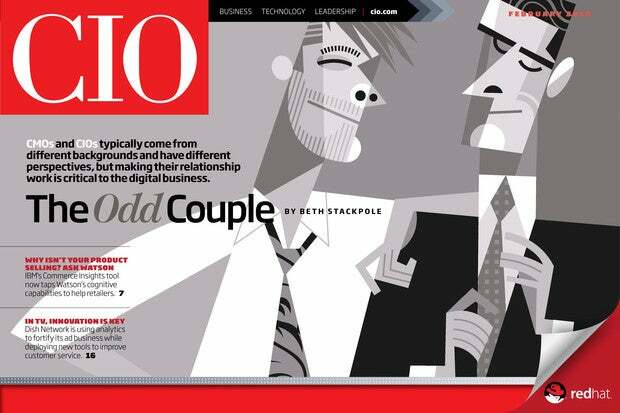 Have the CIO Digital Magazine delivered to your inbox each month. IBM’s Commerce Insights tool now taps Watson’s cognitive capabilities to help retailers. Sometimes referred to as programmable infrastructure, IAC lets you rapidly and safely deploy virtual environments. Dish Network is using analytics to fortify its ad business and deploying new tools to boost customer service. ServiceMax is integrating IoT data with its field service management platform so technicians have the information they need to fix equipment fast — and keep customers happy. The automaker is adopting emerging technologies, such as robots that attend meetings, while maintaining core competencies for manufacturing and other operations. It’s bimodal IT, Ford-style. Channeling deep experience in leading change programs, Stuart McGuigan is reshaping Johnson & Johnson’s digital approach to healthcare.